among the most arresting faces in South Asian dynastic politics. six-month-old Pakistan Muslim League-Nawaz (PML-N) regime. spearhead the most ambitious Youth Loan Scheme in Pakistan’s history. Pakistani entrepreneurs, 50 percent being women. posted to guide the applicants. computers will be the other components of the Youth Programme. “We’re happy, so long as the money comes back,” the chairman of a top Pakistani Bank told this IANS columnist informally. and Pakistan Tehrik-e-Insaf leader Imran Khan. tweets under her belt, nearly 15 times more than the more-reticent Khan. prime minister Benazir Bhutto, languishes at 98,000.
already a member of the National Assembly. immediate response triggering dozens of “likes” and reteets. public engagements a manna for their ratings. PMLN is a family party or patronises favouritism. No one is above law. Justice & fairness must prevail. PMLN stands for rule of law,” Ms.
family matters separate,” she posted. Saturday. Pakistan PM House spokesperson confirmed that Sharif will be visiting New Delhi following Modi’s invite. would accompany Sharif during the visit. The Pakistani premier’s attendance will be a first in the history of the nuclear-armed neighbour countries. victory and invited him to visit Pakistan after assuming office. Eeek, sorry dudes, she looks a tad trashy and somewhat predatory-its in the eyes and smile. 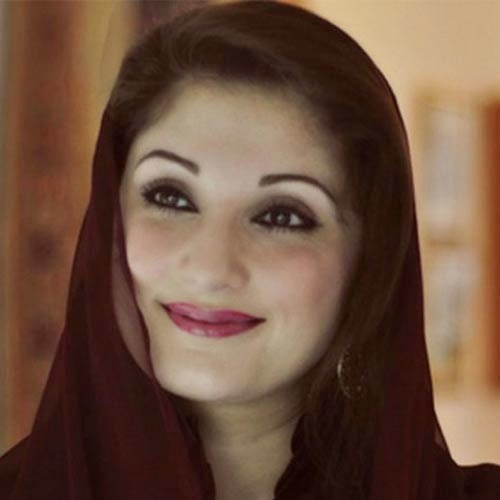 Benazir Bhutto she aint! Ms Bhutto was something else. Even when she talked about liking Victoria Secret , it only made sound more elegant…sigh our self proclaimed moralists couldnt have that could they?